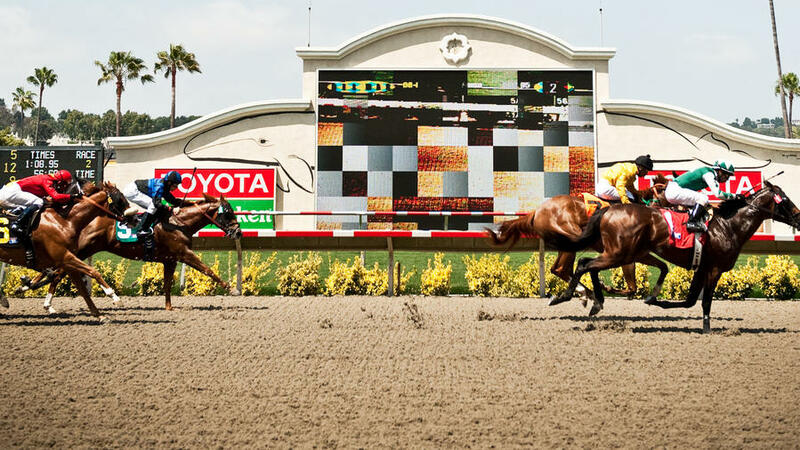 Racing season kicks off in July at Del Mar Racetrack, where you might catch the next Seabiscuit flying by. Why go: Sun, surf, and ocean breezes meet big hats, mint juleps, and fast horses. Getting to Del Mar: The track is about 20 miles north of San Diego and 100 miles south of L.A. Info: delmarscene.com; parking from $8 per vehicle. Pick a pony: Del Mar Racetrack’s 71st season starts July 21 and ends September 8 (admission from $6; 858/755-1141). Dress code: Wear your widest-brimmed hat. And BYOB (binoculars). Racing cred: Seabiscuit raced here in 1938. 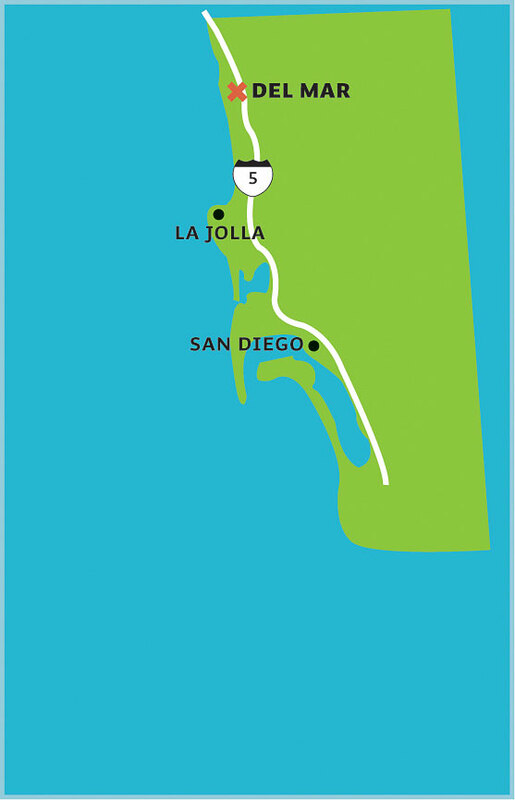 Theme song: Bing Crosby’s Del Mar–inspired “Where the Turf Meets the Surf” plays before the sixth post (track lingo for the scheduled race start). First post: Usually 2 p.m., but the doors open about 2½ hours earlier. Ditch your wheels: Take Amtrak (808/872-7245). Free shuttles run from the nearby Solana Beach station to the track. A whiff of the good old days: The ornate hallways are lined with vintage black-and-white photos and old-school vending machines with bags of warm nuts. For early birds: At Day­-break at Del Mar (7:30–9:30; free), a former jockey gives the behind-the-scenes scoop while horses start their workouts. Stay for a buffet breakfast ($9.95) in the Clubhouse Terrace Restaurant. Pick a winner in the Paddock, where Del Mar jockeys parade the saddled horses pre-race. Before the first post, check out the manicured Paddock, where horses are saddled and paraded by their jockeys before each race. Want to spot a winner? Superstitious sorts say a horse is raring to go if its ears are pinned back. Grab a Daily Racing Form ($5) at the gate for info on the day’s races and horses (we’re partial to names like Watch Me Go Byebye and Jazz Hands). Improve your odds by nabbing an unofficial handicap form with expert picks (we got Bob’s Card outside the gate for $5). Or drop in on the “Newcomers’ Seminar” (free with admission) an hour before the first race. You have until the bugler plays “Call to the Post” to choose a winner. the Winners’ Circle, where the champs are lavished with garlands. Stick around for concerts (free with admission) on Fridays and some Saturdays a half-hour after the last winner is declared. Friday’s shows take place on the new Seaside Terrace stage; Saturday’s are on the infield. We’re coming back for the B52s (Aug 6). The Spanish-style Les Artistes Inn is only about a mile from the track, making it ideal headquarters for a race-fueled weekend. About a mile from the track, Les Artistes Inn is a 1940s roadside motel turned whimsical Spanish-style retreat with graceful archways, flower-filled walkways, fireside courtyards, and colorful mosaics. Each of the 12 artist-inspired rooms is different, but we like the Rivera and the O’Keeffe. From $155; two-night weekend minimum; 858/755-4646.